The sheer scope and volume of the recommendations in the General Review demanded that some parsing, priority setting and strategic planning be undertaken. In 2000, NNAPF completed a document entitled NNADAP Renewal Framework. This framework set out the purpose, values and principles to guide a renewal of the capacity-building process for NNADAP. It also identifies the ends and means to strengthen the program. The Renewal framework is the primary reference guide for NNAPF coordinated, integrated approach to program renewal. The National Review made 37 recommendations, which fall into seven broad categories of enabling functions, described in the column below. 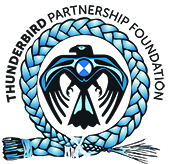 To organize a national network of addictions programs and services through which the knowledge, experience and skills of its members can be universally accessed by clients, workers, managers, policymakers and partners; to ensure that community prevention and Treatment Centre personnel do not function in isolation from their colleagues; and, to develop a partnership between the National Native Addictions Partnership Foundation, the Regional Addictions Partnership Committees and FNIHB. To support the effective operation and development of community prevention and Treatment Centre operations through pure and applied research with a focus on identifying individual, family and community need and improving programs and services. To identify the best practices within the extensive base experience of community prevention programs and treatment centres; to capitalize on these experiences by documenting success and providing “hands-on” exposure for addictions personnel to methods and practices that are effective; and, to establish an accreditation process for community prevention and treatment centre programs. To establish a networked training system to support the development of the human resources required to ensure effective and efficient addictions services for Indigenous people regardless of where they live; and, to establish a national certification program for community prevention and treatment centre personnel. To develop and implement a national program of communications, using state-of-art methods and technologies that provides timely information related to the addictions field to clients, workers, managers, policymakers and partners within the First Nations and Inuit Addictions network; and, to ensure communications support to Regional Addictions Partnership Committees. To establish a funding base that supports an effective and efficient system of programs and services delivered by qualified personnel to Indigenous people regardless of where they live in Canada (including operational and capital requirements). To develop a continuum of care within which services would be available to all Indigenous people wherever they live in Canada including primary, secondary, and tertiary prevention and intervention community services; community development programs; and a complete range of treatment services (detoxification, “first and second stage” treatment programs, specialized treatment services).